CC Blower plugs directly into your receiver for power and helps maintain proper motor temperatures! Includes fan, shroud, and two (2) black zip ties. 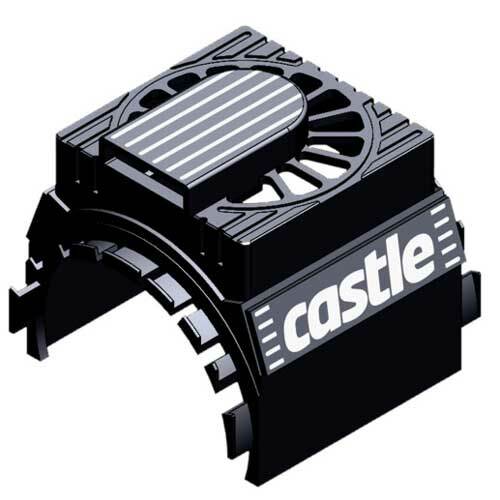 Fits on all CM36, Neu-Castle 1406*, Neu-Castle 1410, and Neu-Castle 1415 series sensorless motors. *Note: this fan shroud will NOT fit Sensored 1406 motors. However, it WILL fit Sensored the 1415 motor; and the 1410 series motor with the wires swapped to face the back of the motor.